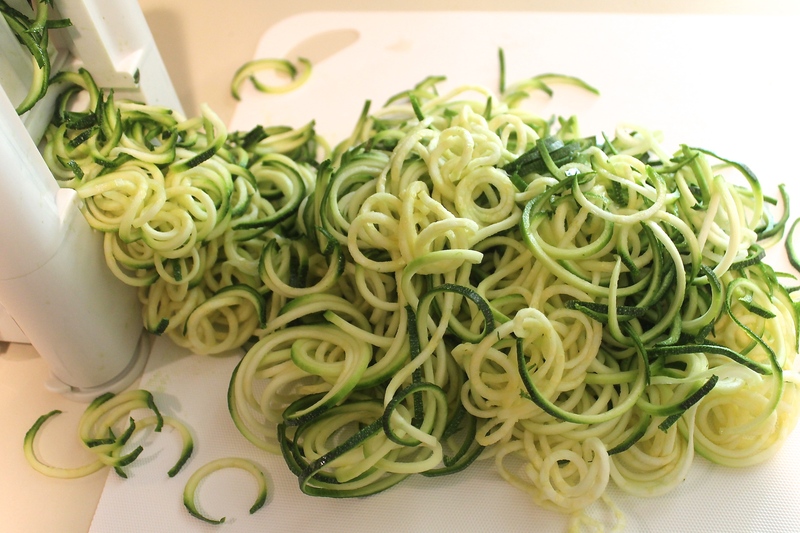 This though, the veggie spiralizer, this is a keeper. Though, I do wish I had found this one first that you can hold in your hand. It takes up much less space and looks to make the same long pasta like ringlets out of all sorts of veggies from apples to zucchinis. This genius contraption is a godsend to anyone following a gluten-free or paleo diet. Pasta is just one of those things man can only go so long without. And with this guy, I really do not feel like I’m going without. Pasta fix is taken care of. I mean just look at those noodles! I call it zpaghetti. 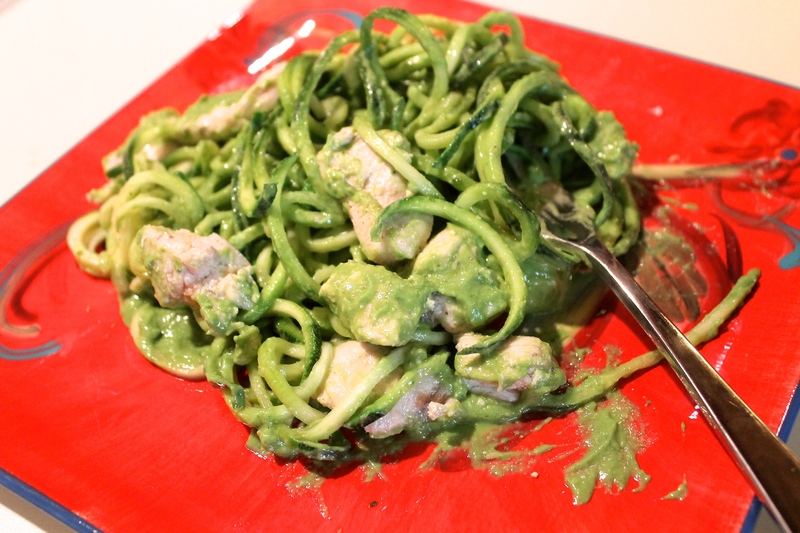 Zucchini happens to work particularly well as spaghetti. After spiraling, I use a paper towel to absorb some of the moisture. Then when you’re ready to cook, just toss the veggie noodles in a pan over medium heat with a little oil for a minute or two. The longer you let the noodles cook, the softer they’ll get. So for a more al dente pasta, cook for a minute or less. Sweet potatoes – great for pad thai and stir fries – beets, butternut squash, yellow squash and cucumber (great raw) make perfect noodles. 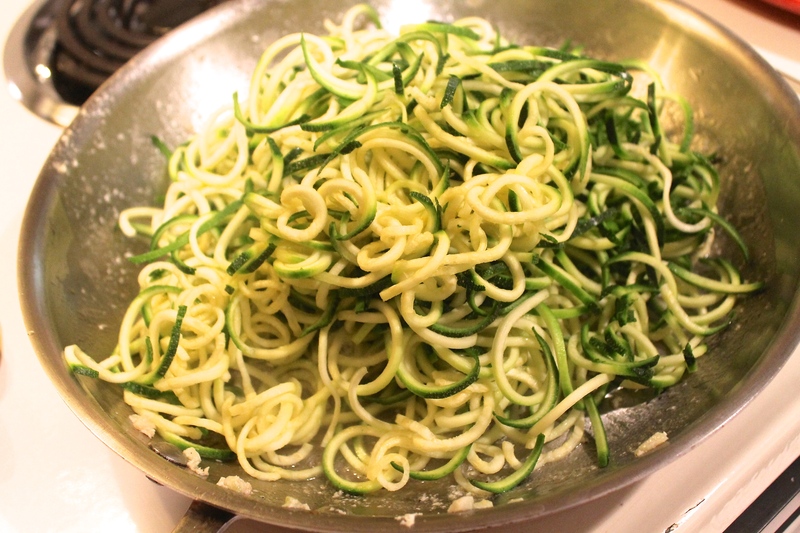 Spiralize zucchini into spaghetti noodles. 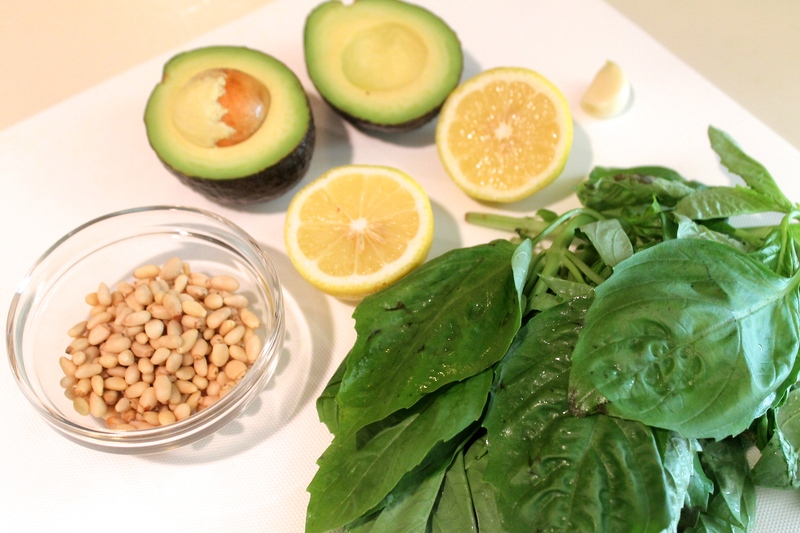 To make the pesto, combine all ingredients in a food processor and process until smooth. Add water or extra-virgin olive oil if needed to help facilitate blending. Heat a large skillet over medium heat. Add olive oil and allow to heat before adding zucchini noodles. Saute about a minute until slightly softened for more al dente-like noodles; allow to cook longer for softer noodles. Transfer to a serving bowl and mix with pesto and halved cherry tomatoes (optional). Add chunks of cooked chicken breast for a complete meal.